Botulinum Toxin is an exotoxin produced by the bacterium Clostridium Botulinum and occurs naturally in nature. 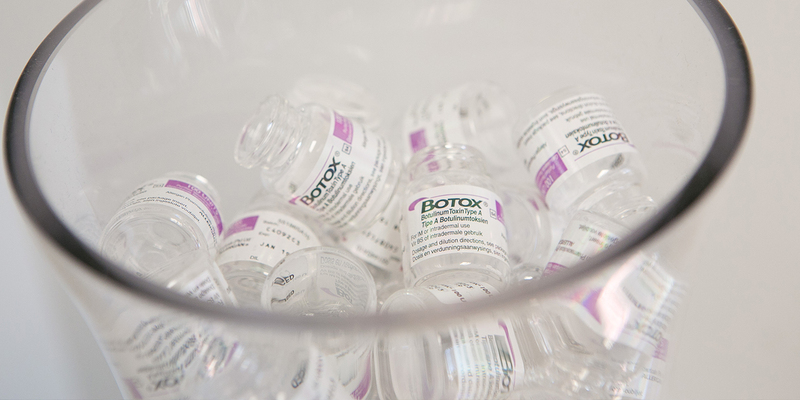 Botox (Botulinum Toxin A) is a purified protein derivative that relaxes muscles. The simplicity and safety of Botulinum Toxin A treatments are among its most compelling attributes. Its cosmetic use demands a thorough understanding of facial muscles and the neurotoxin, as well as a sound understanding of proper injection technique. The message for a muscle to contract is mediated via a chemical transmitter (messenger substance) called Acetylcholine (Ach). After injecting Botulinum Toxin A, the release of Ach is blocked (“road block” for Ach). The muscle, therefore does not contract. Due to the muscle not exercising, the muscle bulk decreases over time. There is no direct damage to the muscle (or sweat gland, if done for Hyperhidrosis). If injections are discontinued, the muscle action will resume over time. Regular injections, however, lead to long-term gain due to the fact that the muscle becomes smaller. Botulinum Toxin A has been proven to improve the texture of overlying skin and is locally acting. Botulinum Toxin A is also an extremely effective treatment for excessive sweating (primary focal hyperhidrosis). If you are pregnant or breastfeeding or have diseases of muscular weakness (myasthenia gravis, etc.) you should not be receiving botulinum toxins. The normal duration is 3-4 months. However, due to loss of habit and decreasing muscle bulk, the duration of action may increase over time, making less frequent treatments possible. The duration for hyperhidrosis (excess sweating) is longer – on average 7 months for armpits.